Hans Buch A/S can assist with measuring wind (ultrasonic anemometer), cloud height (ceilometer), temperature, pressure, precipitation, humidity, visibility, present weather etc. We have been dealing with various meteorological instruments for many years and are supplying equipment to Danish Meteorological Institute, Danish Airports, Military applications, Universities, Ports and Harbours, Vessels, Heliports, Offshore (oil & gas) installations etc. We are cooperating with and representing different manufacturers around the world, in order to be able to customize optimal solutions for our customers. 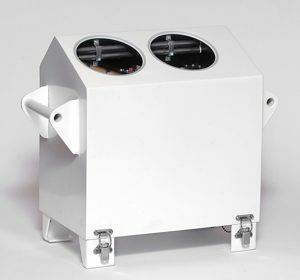 There are different WindObserver models with heating / de-icing as option and up to 100 m/s measurements. There are different WindSonic models. Corrosion-free polycarbonate exterior or Hard-Anodised Aluminium Construction. Heating / de-icing as option and up to 75 m/s. 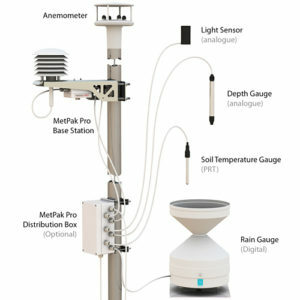 MaxiMet is an advanced compact weather station designed and manufactured by Gill Instruments using proven technology to measure meteorological and environmental parameters to international standards. MaxiMet incorporates all the measurement parameters that meet the requirements of users in demanding applications where cost, quality and performance are essential. 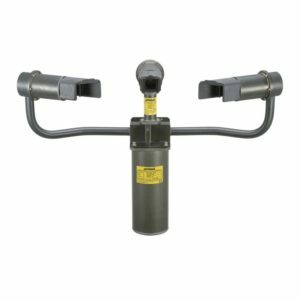 The WindObserver IS is an Intrinsically Safe Anemometer, developed specifically for use in hazardous areas and in particular for offshore applications. 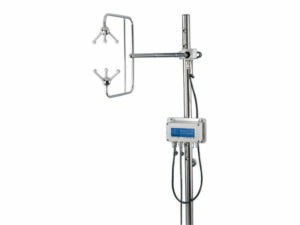 The Gill WindMaster product range have several different models depending on customers requirements. 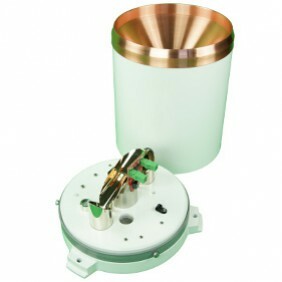 The Gill 3D products range is often chosen by customers who have a requirements for wind measurements in 3-dimensions. 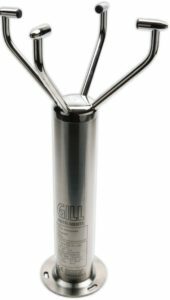 The Gill products range for Professional Research is often used by universities or customers who have very specific requirements etc. 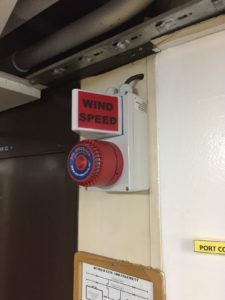 where wind measurement in 3-dimensions are required. FlowTrax ultrasonic long range wind and flow sensor can be used for wind flow measurement in road tunnels etc. Designed to accurately measure airflow velocity and direction over long distance runs, wide tunnels, and large cross-sectional measuring areas. Ultrasonic technology provides the cross-sectional mean average value of the flow velocity. 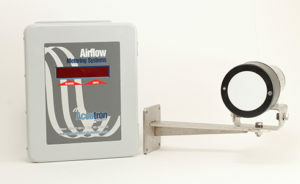 This device is used for measurement necessary for optimal ventilation control and reducing running costs etc. Visibility is an important parameter within aviation, harbour and road monitoring applications. In the past this was a parameter which was manually observed and broadcasted to users. Although this method is still applied, many Automatic Weather Station (AWS) are provided with a visibility and present weather sensor. Precipitation, or just rain, is probably the most discussed meteorological phenomenon. People start complaining when it rains too much and start discussing the dryness in periods we had too little precipitation. Obviously this parameter is a quite often measured one. Professional measuring devices are available as well for measurement of parameters such as mm precipitation, rain intensity and precipitation types (WMO code table 4680). 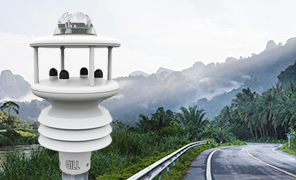 Biral Thunderstorm Detectors are self-contained standalone devices that detect the presence of all forms of lightning including intra-cloud, cloud-to-cloud and cloud-to-ground. Additionally our sensors can warn of the risk of overhead lightning before the first discharge. The unique quasi-electrostatic operating principle developed by Biral ensures very high detection efficiency whilst maintaining a false alarm rate that is almost zero. Ambient Light Sensor for Runway Visual Range (RVR) system etc. 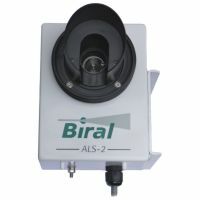 The ALS-2 Ambient Light Sensor is designed to measure background luminance as part of a Runway Visual Range (RVR) system. Mounted alongside the runway the ambient light sensor is often deployed with a visibility meter to provide the data necessary for calculation of RVR. Weather is a crucial parameter for safe helicopter operations. Most helipads or heliports are located on difficult locations near hospitals, and normally there is no met-observer or specialist present to inform the helicopter pilot about the local weather circumstances. Professional, multi-Sensor weather stations with better accuracy etc. 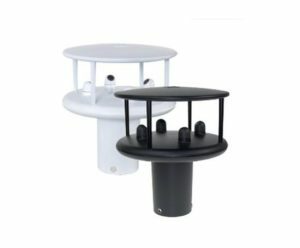 Easy Station Installation / Monitor Multiple Weather Parameters / UV Stabilised Casing Materials / Configurable Weather Station Sensor Options. The OMC-140 is the new self designed and developed multifunctional TFT display of Observator. Wherever you need to visualize your critical measurement information on a dedicated instrument, the OMC-140 can be applied. Whether it is presenting wind information or indication of other meteorological parameters, the OMC-140 is the ideal instrument.